Purim is a fun and joyful holiday. One of the ways we celebrate Purim is to dress in costumes and wear masks. The significance of masks and costumes is that things are not always as they seem. We do not always know why things happen the way they do. The story of Purim reminds us that Hashem's plan may be hidden to us, but we can trust He has one. As I began to prepare for Purim in the classroom, I thought about "masks" my young friends may wear and what they may hide. Children develop "bad habits" because they have been successful with these strategies and choices at some point. These behaviors are "masks" hiding the child's real need. A young child wants to belong and feel significant. Helping children discover positive choices to express their needs requires daily commitment, and repetition is the key to success. Let me help you choose the cooperative and kind choice. Expectations are important and needed. While maintaining the highest expectation, we need to build to that goal slowly with smaller more attainable expectations. These smaller successes will be the foundation upon which the truly capable and confident child grows from. Judah: Can I get in your car too? Girls: NO! It's a girls ONLY car! Evan: Hey Judah you can come in my car. Judah: Can we make it a boy and girl car in case a girl wants to join us? Evan: Of course we can. 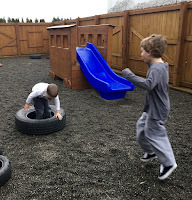 As we create an atmosphere that joyfully and wholly supports self directed exploration by children, we should and need to be prepared for challenges and poor choices. 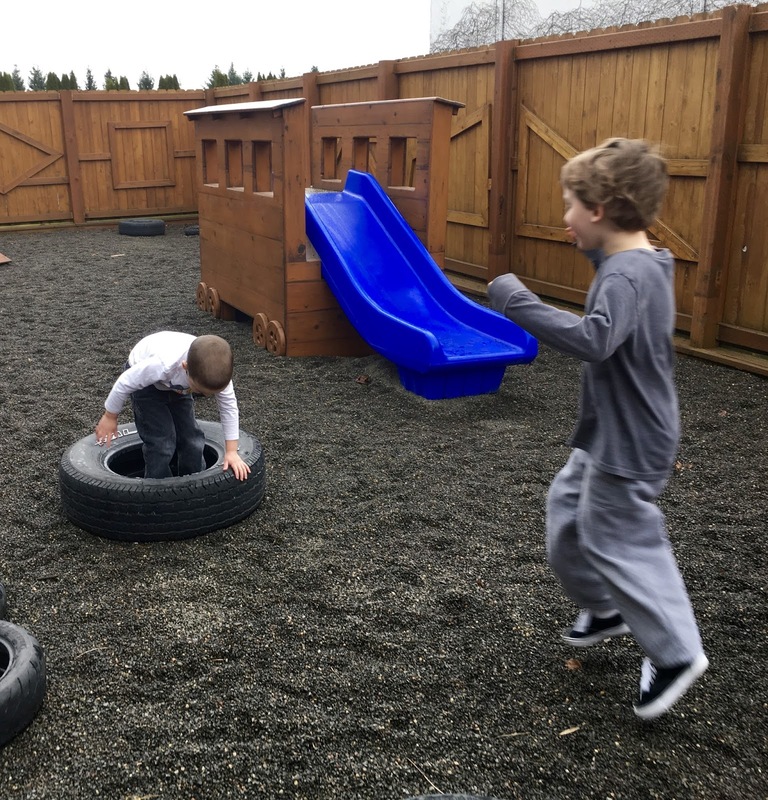 We provide the children boundaries: be kind to each other and our materials, and be safe. As the children make choices we explore if they were kind, and safe. If they were not, we explore what could they have done differently. It is all about Purim in the classroom. To get us in the mood, we have graggers, noise makers. They can be quite noisy. Clara: Stop it, it is too loud. Friends continue to shake the graggers. Morah Katie: Friends have you looked at Clara and Nora lately? Morah Katie: How do you think they are feeling? Evan: Not good it was loud. Judah: Well I get to choose to shake the gragger. and be thoughtful of your friends? Judah: But graggers are loud, they are suppose to be loud. Evan: We can turn it slowly like this. Clara: Oh that is so much better it is like music to our ears. Ari: We can be loud in the bathroom too if we want to be not so close to others. Judah: Yeah we can do that. 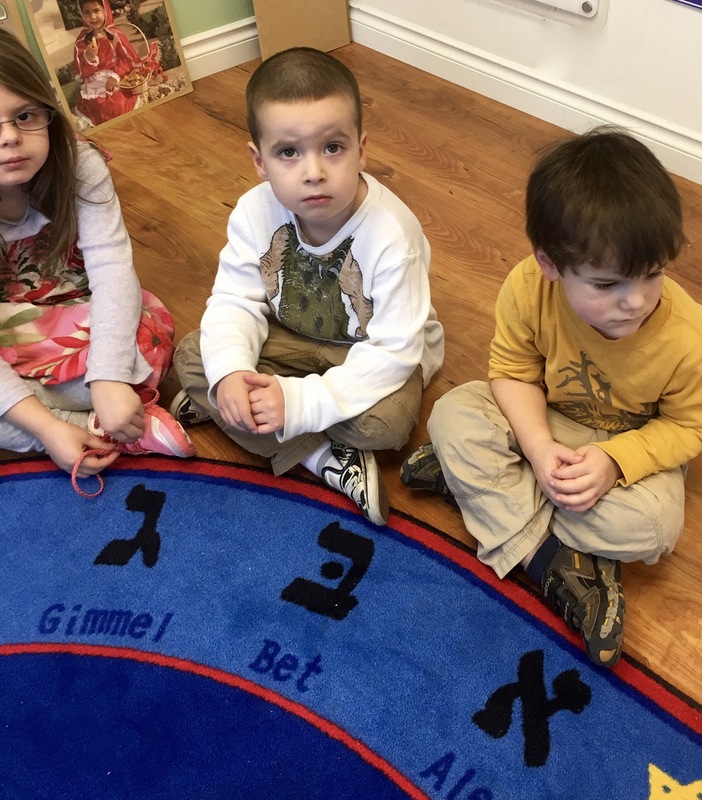 Are we giving in to our exasperation of the "morah, morah, morah, morah, morah, MORAH, MORAH, MORAH, MORAH MORAH" which reinforces and demonstrates to the child that if they say a name 10 times one of us will eventually give them our full attention? Do we genuinely let them explore? Or only allow them to explore in a manner we are comfortable with? What is the tone of our voices? Our words and actions as adults affect children. Being mindful of our expectations, and things that matter to us (fill in your own), guides us as we approach the children with kindness. I noticed that Olivia was going to begin using markers while in the pink Queen Esther dress. I admit I had a moment of: not markers with the pink dress that only comes out once are year. I caught myself and took a moment to think about the whole situation, and made a request of Olivia. Morah Katie: Would you please wear an apron over the dress while you use the markers? Olivia remained Queen Esther and I felt more secure with the markers. Needless to say I was extremely grateful to hear Morah Jillian remind Abby to get apron before she began to paint. 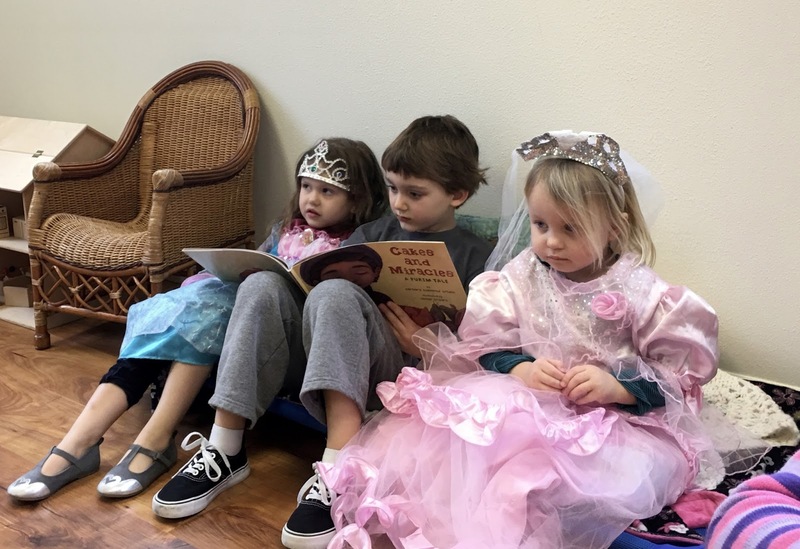 We help children learn to make more thoughtful choices by demonstrating that we have faith in them and at the same time not permitting the poor choice to continue. Nora: Morah Katie Sadie pushed me. Morah Katie: Let's talk to her. Sadie, Nora would like to talk to you. Nora: Please don't push me. Sadie: (quiet) Ok Nora. I sorry. But why was Sadie hitting Nora? Morah Katie: Sadie, why were you hitting Nora? (No answer) She does not enjoy getting hit. Did you want to play with her? (no answer) If you want to play with her you can use your words and ask her. Sadie: Nora play with me? Both girls went their own ways until later when they both joined Ari at his bridge for building and balancing. When we have an idea of the motivation behind the behavior, we can begin to offer options to positively express those feelings and needs. Evan: Matan you are sitting so close to me I don't want you to sit next to me. Evan: Matan I don't have room and you sit by me all the time. 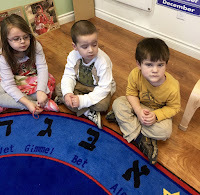 Morah Katie: Matan why do you like to sit by your friend Evan? Morah Katie: Is he kind to you during playtime? Do you have fun with him? Matan: Yes so I like to sit next to him. Morah Katie: Did you hear when Evan said he didn't have any room? (No response) If you did, how could you show him you care about him? Matan moved slightly away from Evan. Morah Katie: Evan something you can think about for next time is offering another time to sit together. Lunch, snack... Matan you can ask before everyone sits down if Evan would like to sit with you. Taking a moment to show consideration for the feelings of both boys prevented a potential unpleasant outcome, such as someone crying. Maintaining a child's dignity looks at the whole child, not simply the child in the moment of that particular incident. If the child is hitting, grabbing, saying hurtful things, are they feeling sad, alone, rejected? I try very hard to be sure to acknowledge what it looks like the child is feeling, You look angry/You are looking sad. I allow them to feel that, You can be angry/I'm sad to see you look sad. I inform them I can't let you (hurt my friend/knock over the blocks). I assure them, You can be angry/sad, I love you. Ending the conversation with "I love you" let's the child know I think they are significant and important, and "next time" will be better. And it usually is.